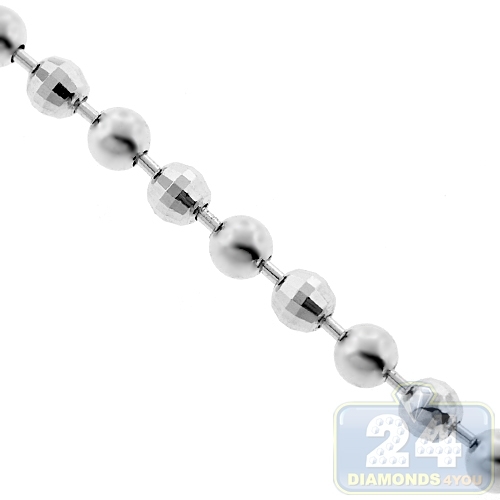 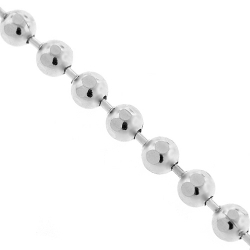 Our army diamond-cut bead chain creates a handsome presentation along the neckline! 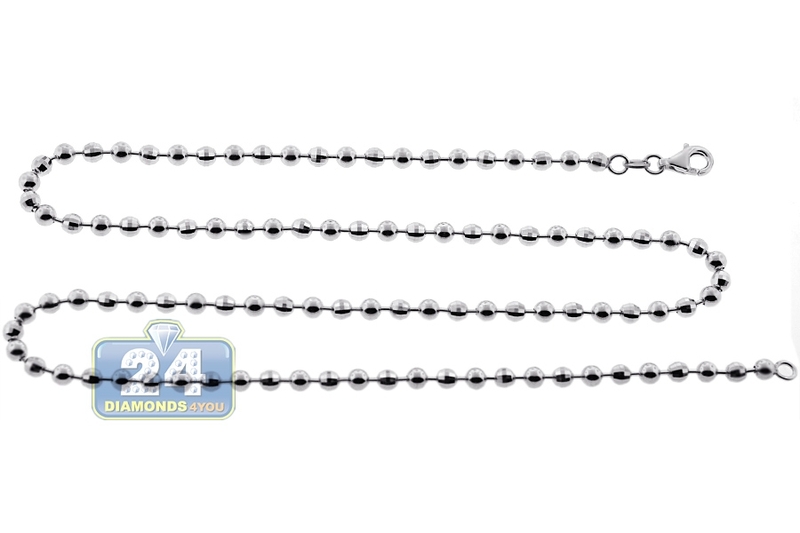 It is masterly produced from precious 925 sterling silver, and covered with white rhodium that helps prevent tarnishing and gives a bright color. The chain measures 4 mm in width, 22-36 inches in length; and also secures with a safe lobster claw clasp. 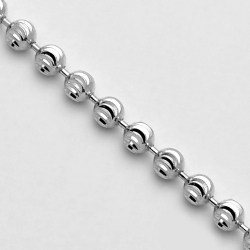 A unique design featuring an interchange of smooth and diamond-cut beads makes this necklace sparkle a lot. 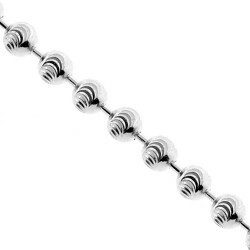 Striking piece of jewelry for your chain collection!